Aviation Updates Philippines - The Philippines' leading low-cost airline, Cebu Pacific Air, is set to launch direct Cebu - Tandag flights. The inaugural flight will be on June 29, 2014. Tandag is the capital city of Surigao del Sur and will be CEB's 34th Philippine destination. "We're very proud to be soon launching Cebu-Tandag flights, as part of our continuous commitment to enable everyJuan to fly. We hope that with direct air services to Tandag and our trademark lowest fares, we can further stimulate travel and trade to Surigao del Sur, for the benefit of the local economy," said CEB VP for Marketing and Distribution Candice Iyog in a Cebu Pacific Press Release. Based on the Department of Tourism data, there are 45,000 tourists' arrivals in Surigao del Sur in 2013. Tandag will be the gateway for tourists to the popular tourist spots in Surigao del Sur. Enchanted River, Tinuy-an Falls are the few of the tourists spots found in Tandag. The flight will depart Cebu at 11:00am, and arrive Tandag at 12:15pm. The return flight will depart Tandag at 12:35pm, and arrive Cebu at 1:40pm. 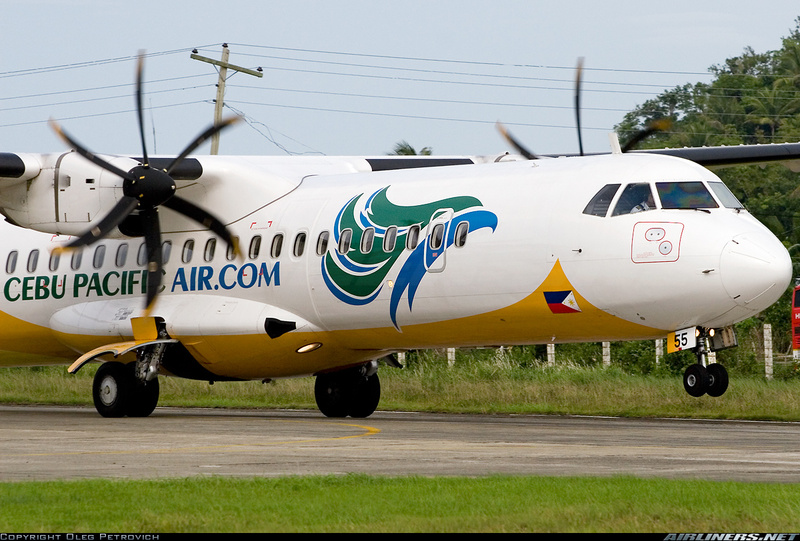 Flights from Cebu to Tandag will be operated by a 72-seater ATR 72-500. Cebu Pacific will operate three weekly flights between Cebu and Tandag (Monday, Wednesday, Friday). This boosts CEB's hub in Cebu. At present, Cebu Pacific's fleet number remains 52, compromising of 10 Airbus A319-100s, 31 Airbus A320-200s, 3 Airbus A330-300s, and 8 ATR 72-500s. Between 2014 - 2021, Cebu Pacific is expected to accept 44 more planes from Airbus. thank you cebu pac... may new service ulit sa cebu..